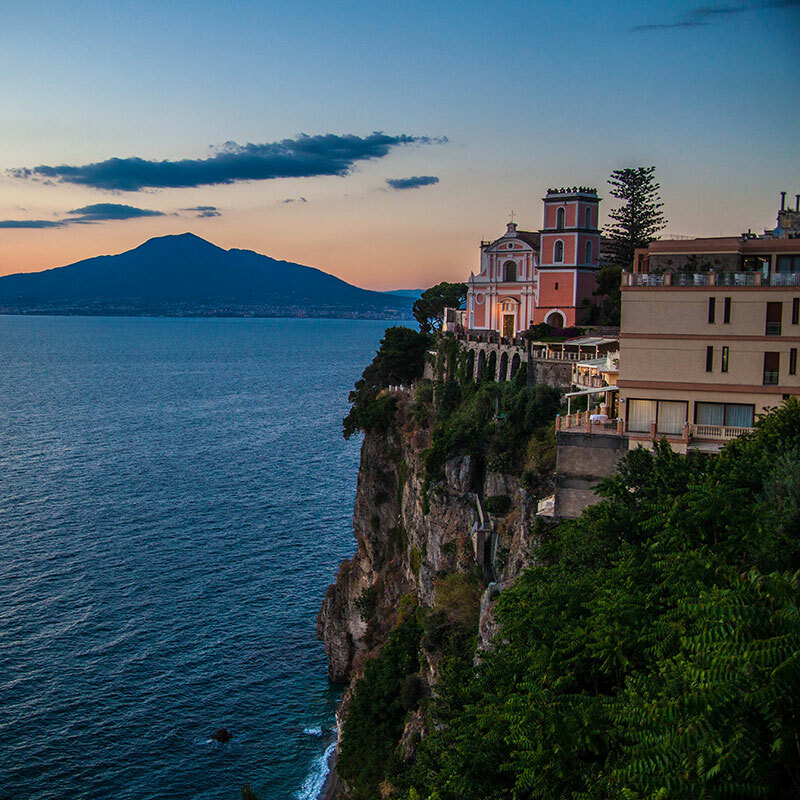 The phlegraean Islands lie in the bay of Naples, a few miles from Cape Miseno. 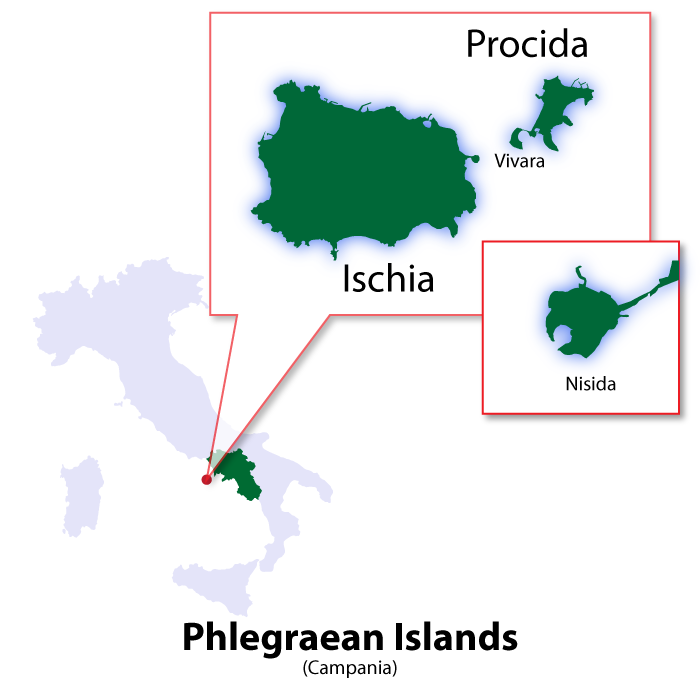 They comprise: Ischia, Procida, Vivara and Nisida. 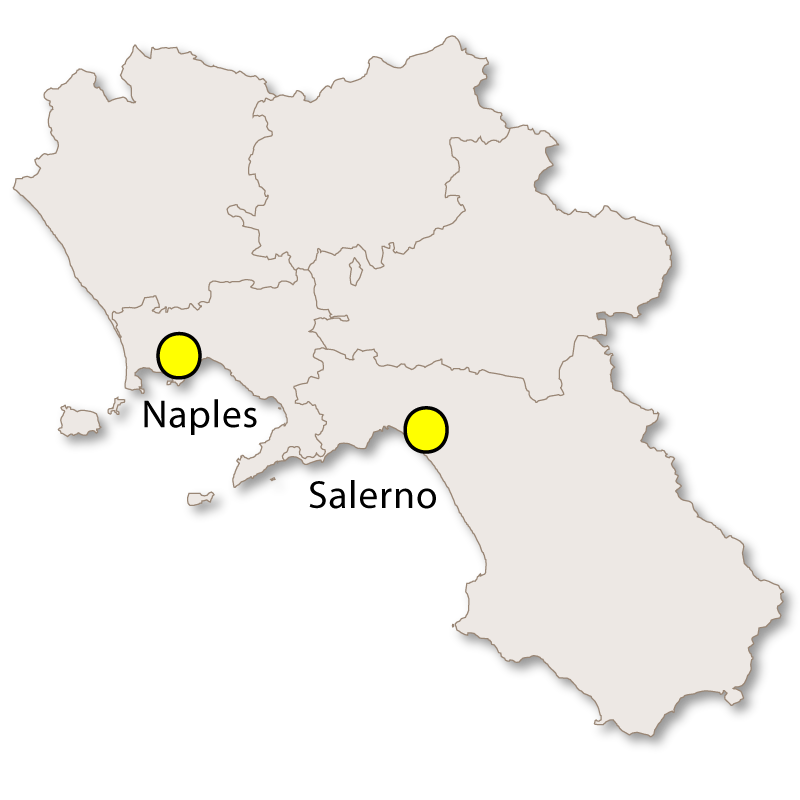 The island of Procida lies between the mainland at Cape Miseno and the island of Ischia at the top end of the Bay of Naples. It is about 4 square kilometres in area and has a population of around 10,000 people. 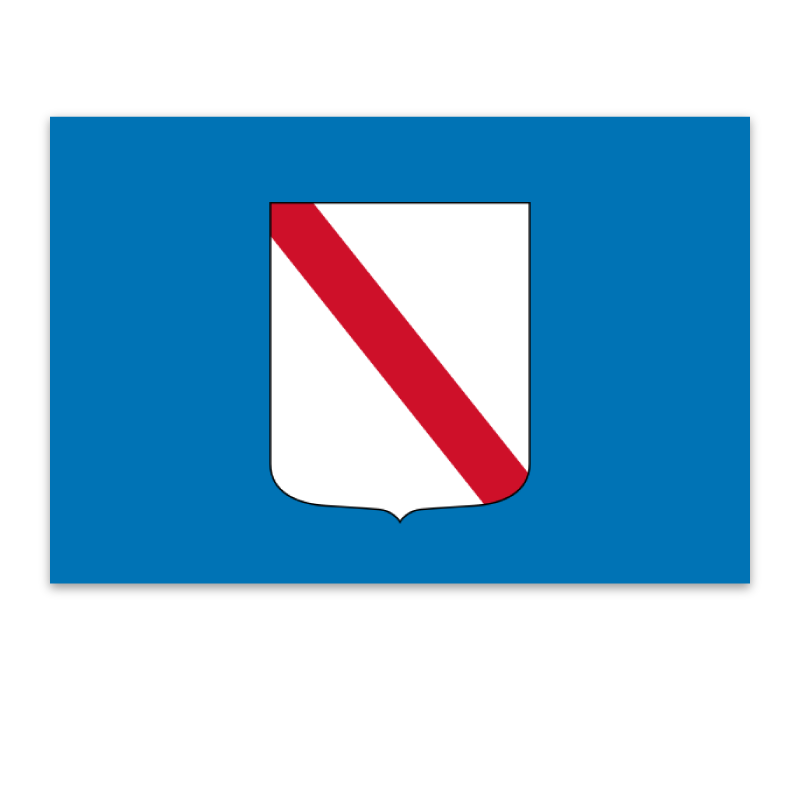 Its distinctive shape, particularly its tiny satellite island of Vivara, indicates its volcanic origins. Procida was a favourite holiday destination of the ancient Romans and it was from nearby Misena that Pliny the Younger observed and wrote about the eruption of Vesuvius in 79AD. Later, Procida's strategic position made it the brunt of many naval attacks thoroughout history and the watchtowers located on the island were adopted as its symbol. 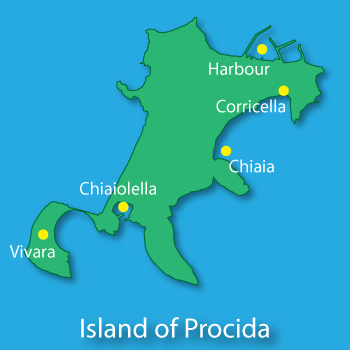 The economy of the island revolves mainly around fishing with the unique harbour of Corricella playing an important part. However, in recent years, tourists have increasingly been drawn to the unusual and attractive island which has featured in the novels: 'Graziella' by Alphonse de Lamartine and 'L'isola di Arturo' by Elsa Morante. 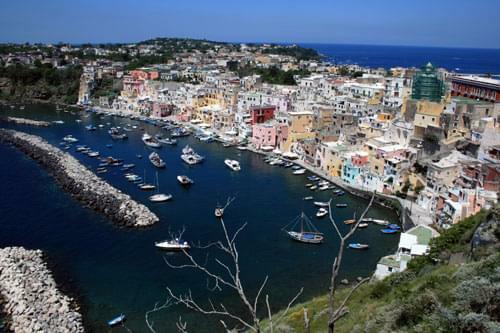 Procida was also featured in the movies: 'Il Postino' and 'The Talented Mr Ripley'. Sitting just a short hop from Naples, the island of Ischia rises up from the depths of the Tyrhennian Sea, with the bright green Mount Epomeo providing a striking introduction to visitors approaching for the first time and excitedly waiting for a glimpse of their destination. According to Greek mythology, the giant Typhon was condemned to live underneath the island for eternity, after failing with a vengeful attack on Zeus who had imprisoned the Titans. It is said, that Typhon's rage at his incarceration manifested itself as the island suffered earthquakes and volcanic eruptions in its formative years before being discovered in 770BC, and this rage can still be felt today as Ischia's natural hot springs bubble away all over the island. 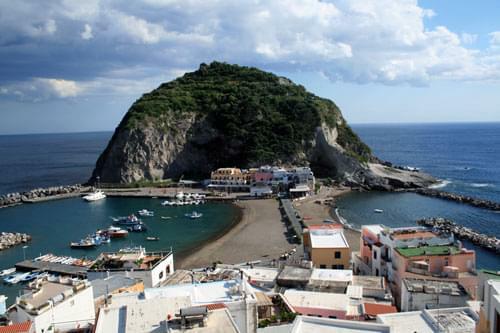 These days, Ischia is a sophisticated holiday destination providing a whole host of attractions to tourists who opt to take the short hydrofoil journey from Naples. 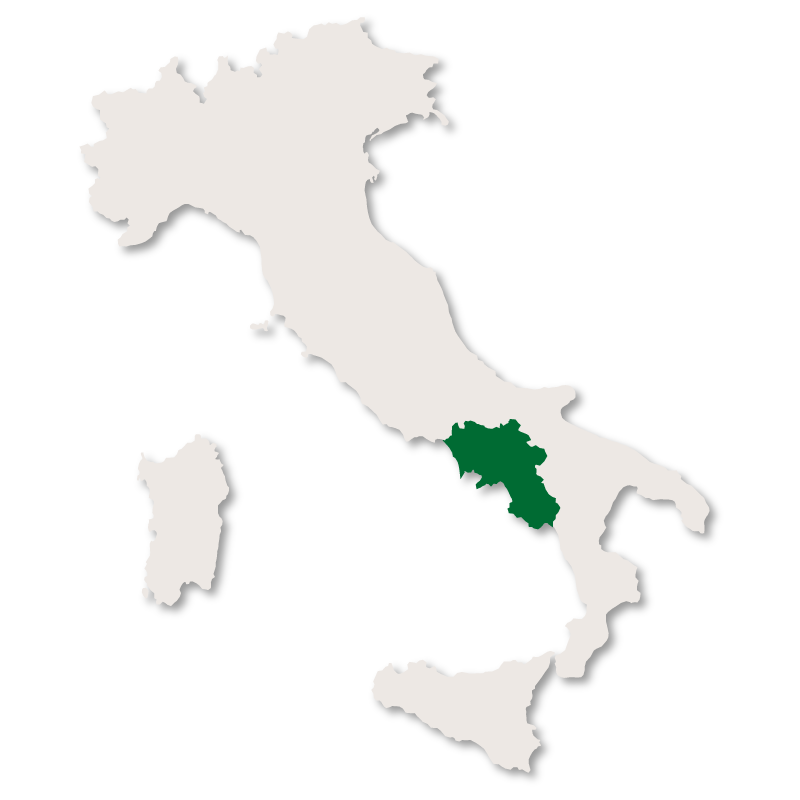 Measuring 10km east to west and 7km north to south, Ischia covers a total area of 46km squared and his home to around 60,000 inhabitants. 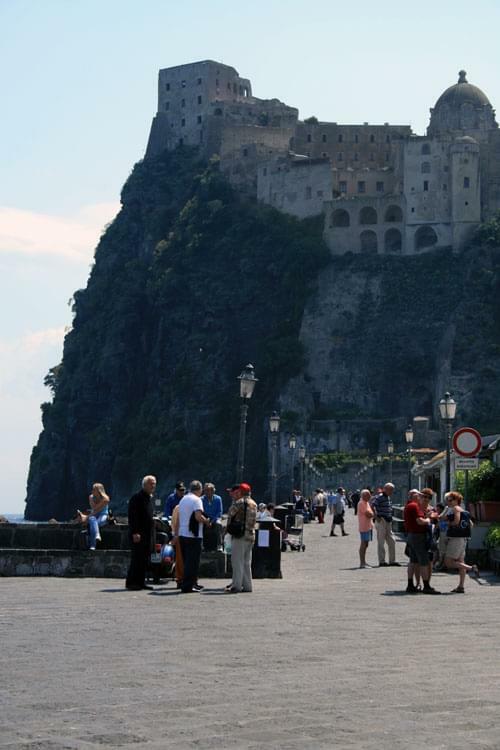 This number swells greatly during the summer, when Ischia's 250 or so hotels welcome visitors from around the world. Many of the visitors to Ischia are attracted by its natural hot springs and thermal parks such as those at Poseidon or Negombo. The thermal parks offer an all-day experience by providing a large number of different swimming pools, saunas and steam rooms, each with a different temperature and heated naturally by the island's volcanic activity. The hot and cold natural spings of the island are believed to provide a number of health benefits for a wide-range of complaints such as rheumatism, arthritis, skin conditions and infections. As well as the thermal parks, there are a number of other sites in Ischia such as Sorgeto, where bathers can spend the day completely free of charge, sitting in a naturally-heated rock pool whilst enjoying a drink or a picnic and looking out on to the sea. Apart from the thermal parks, gardens and natural springs, the island is also home to a large number of wellness centres and hotels which offer a staggering range of modern treatments from massages to mud baths and hydrotherapy sessions that make best use of the thermal waters that surge from below. Ischia's inhabitants take advantage of areas such as the Nitrodi natural springs where cold water gushes from a fountain all day long and it's not unusual to see local villagers walking up and down the steep paths to the spring, laden with huge bags with which they will collect the water and return it to their homes or to their sick loved-ones in order that they may reap its benefits. Before the 1950's, the island was dominated by farms, fishing villages and vineyards, with its inhabitants almost entirely earning a living from industries related to those activities and which still form a healthy part of the island's economy. However, it was the visionary Angelo Rizzoli, a successful film producer, who saw the potential for tourism on the island and transformed it in to the chic destination that it is these days. With his links in the movie industry, Rizzoli was able to attract the glitterati of the day, including film stars who brought their glamour and sophistication to the island. Rizzoli was also instrumental in creating Ischia as a film-set when shooting the Italian film, "Vacanze a Ischia" (Holiday in Ischia) used to showcase the island as an exciting tourist destination and then latterly with Richard Burton and Liz Taylor conducting their controversial off-screen romance during the filming of "Cleopatra". 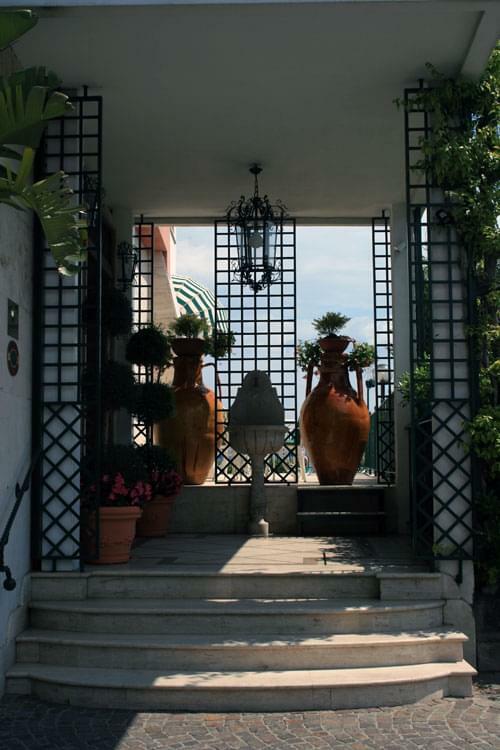 Since then, Ischia has been used many times in big-budget productions, perhaps most notably with the 1999 film "The Talented Mr Ripley" starring Matt Damon where Ischia doubled as the fictional "Mongibello" in the film's early scenes. Apart from its thermal spas, gardens, wellness centres and natural springs, Ischia is a destination for those people looking to get away from the hurly-burly of modern life with a relaxing beach holiday. 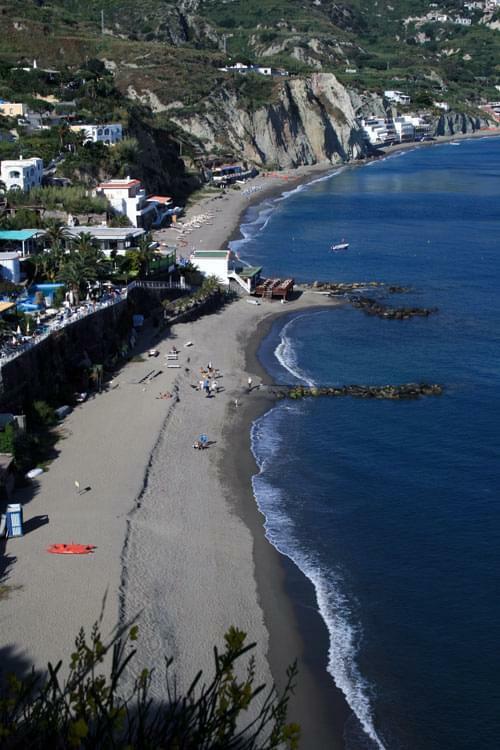 There are dozens of beaches in Ischia, such as the famous Maronti beach which when approached from the high winding road that leads down to it, provides an incredible vista with its steep cliffs standing tall next to the long stretch of sand next to it. Ischia's beaches are a combination of private and free areas, with the private beaches offering facilties such as sun-loungers, parasols, bars and shops. 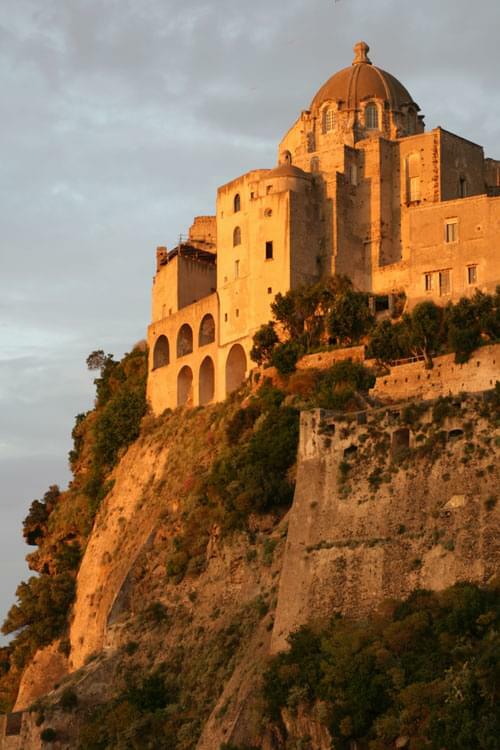 However, perhaps the most iconic sight in Ischia is Castello Aragonese. 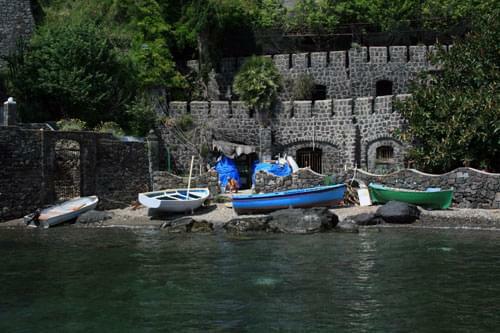 The Castle sits on a huge rock in the sea and is separated from the mainland of Ischia by a small bridge. The island fortress was first created in 474BC by an invader from Syracuse but it was in the 15th century that the Aragonese ruler of the time, King Alfonso V, created the citadel that still stands today. A truly stunning sight, the castle today is home to a tiny village and museums that attest to its troubled past such as the grimly-named "Torture Museum", which has some of the most horrific evidence of medieval man's proclivity towards violence. Ischia suits most budgets, there are a large number of swish five star and four star luxury hotels but it's also possible to stay on the island relatively cheaply with bed and breakfast, agriturismo, camping and self-catering an option as well as a hostel. Perhaps the best time to visit Ischia is late spring, early summer and even in the autumn with temperatures hovering in the mid-20's for much of these months. July and August are the hottest months but it can be difficult to find space in the hotels at this time and perhaps the island is best enjoyed outside of these times when there's more space on the beaches or in the restaurants. Access to Ischia is via either a Hydrofoil or a Ferry from the ports in Naples, Ferry journey times are around an hour and a half whilst the Hydrofoils are slightly faster and take about an hour. 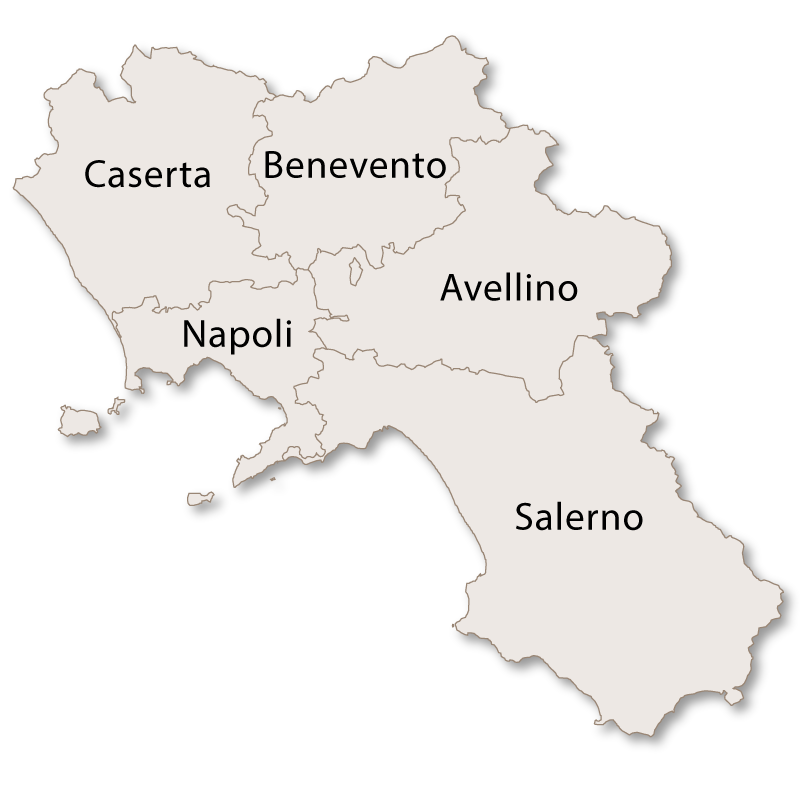 Naples is easily reached by air, road or rail with modern facilities available to get you to your destinations. 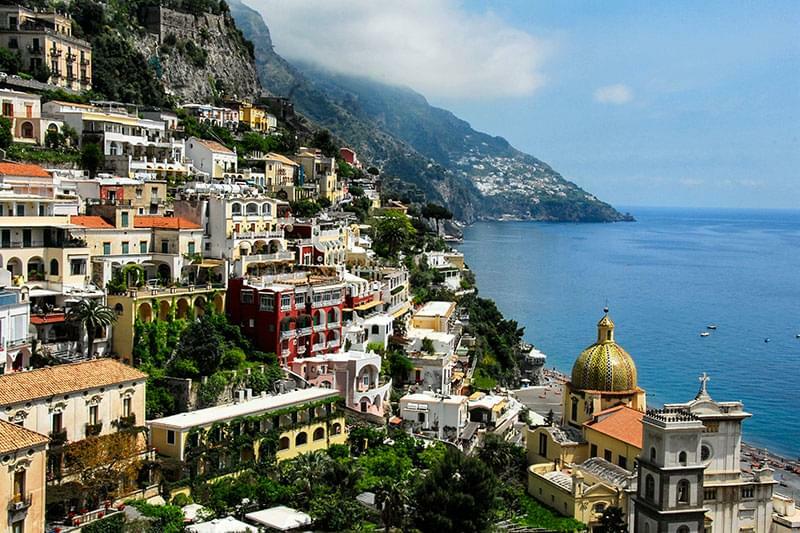 During summer months it is also to possible to reach Ischia from the Amalfi Coast resort of Sorrento, or from neighbouring Islands such as Capri. So if it's wellness, relaxation, culture and climate that you're looking for then Ischia has it all, and with Typhon's rage firmly under control, the island's natural resources provide that little bit extra to ensure that when you leave the island you'll feel re-invigorated and ready to step back into your daily life.